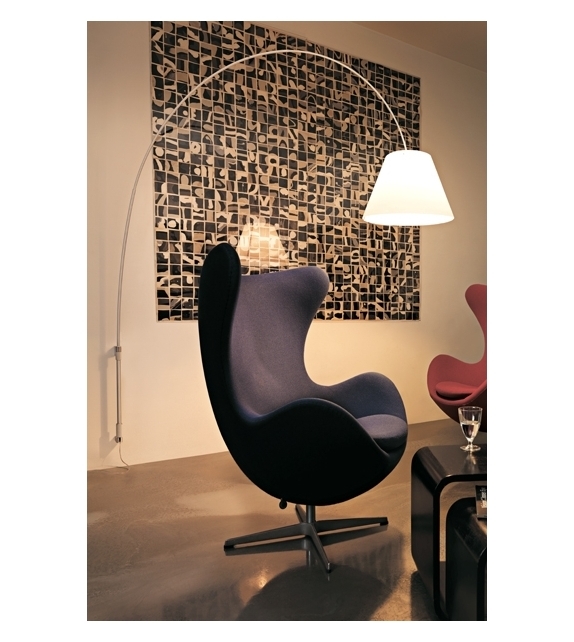 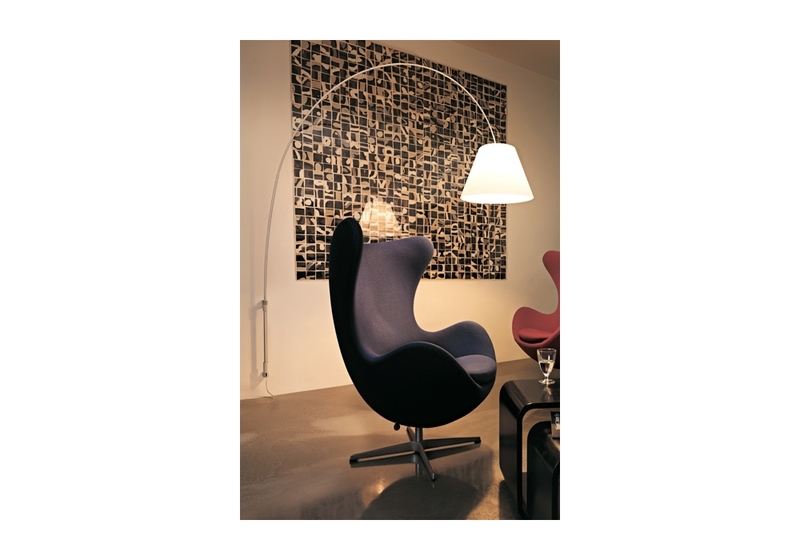 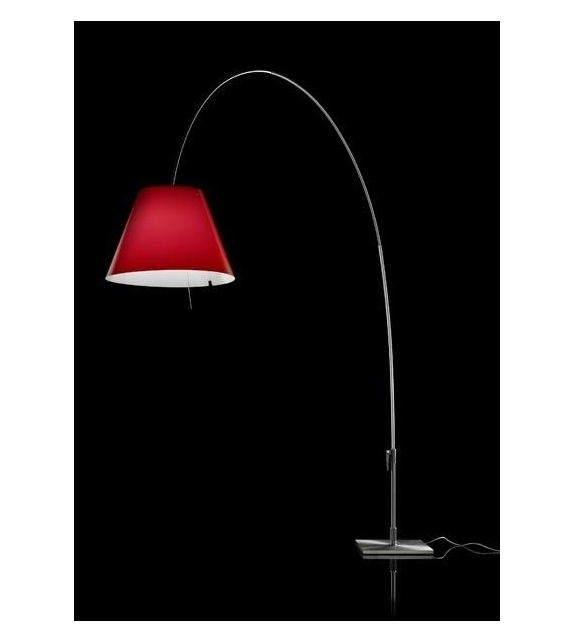 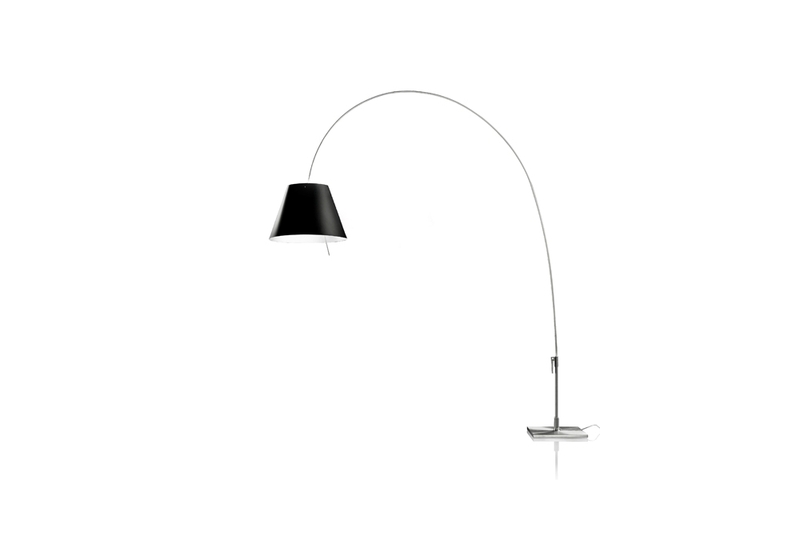 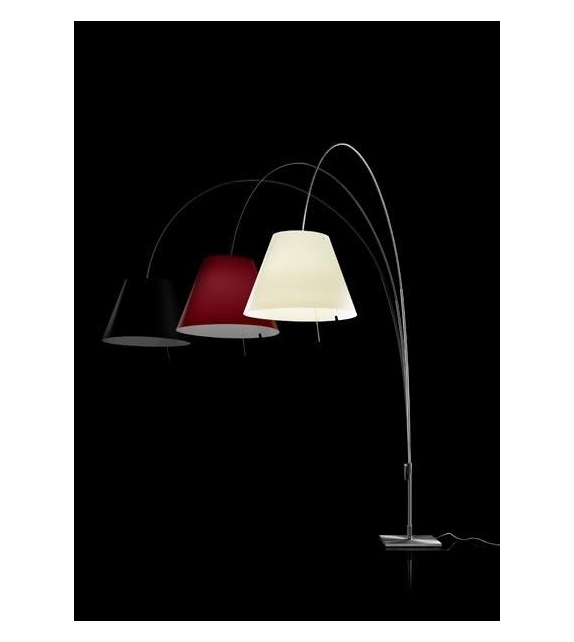 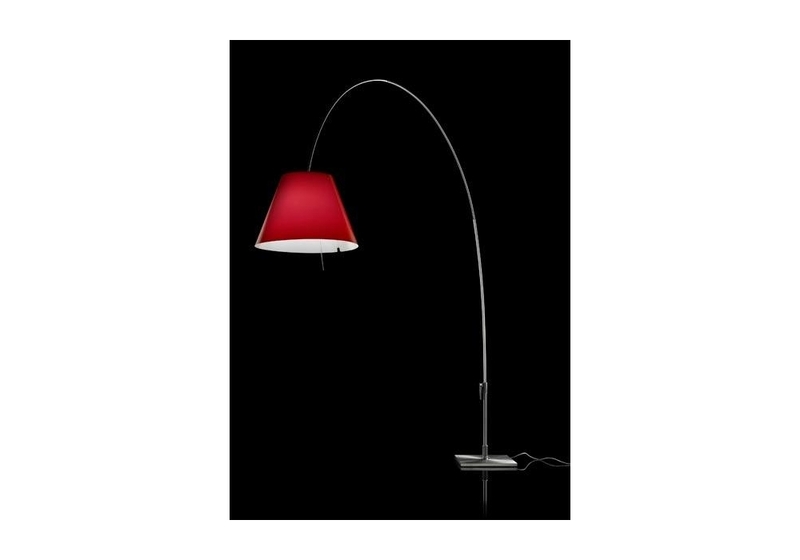 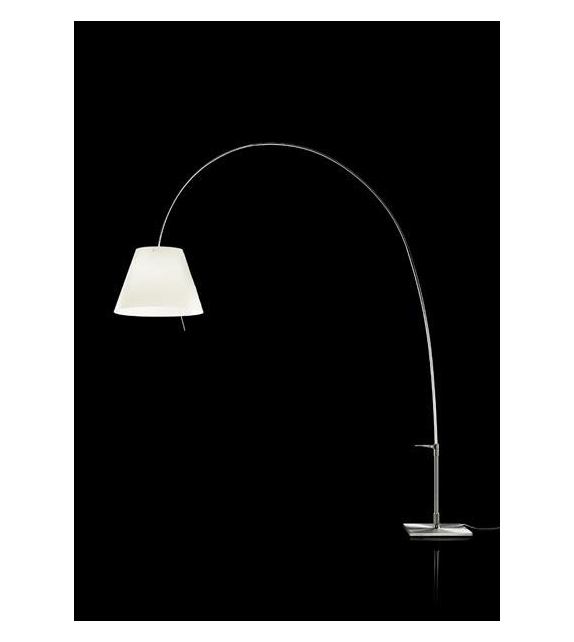 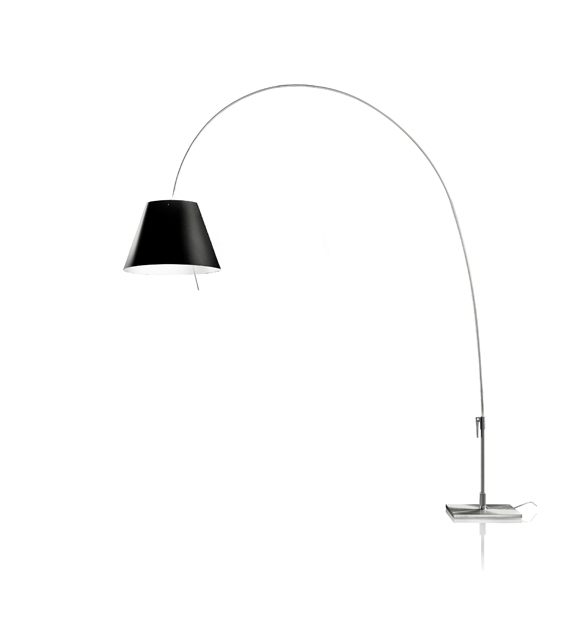 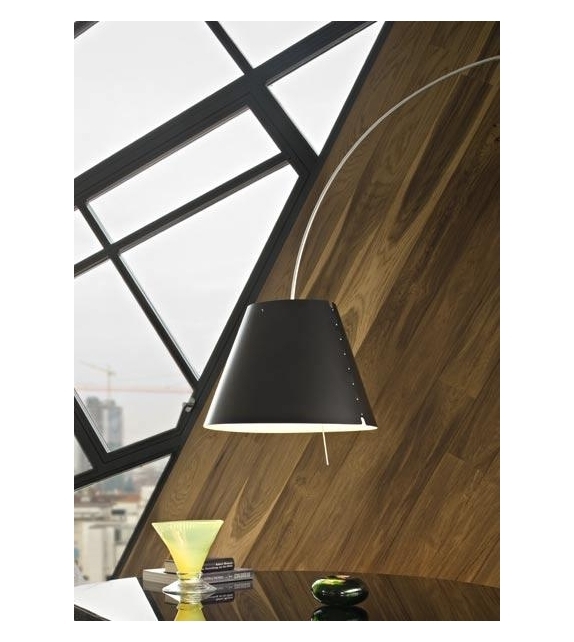 Lady Costanza designed by Paolo Rizzatto for Luceplan is a floor lamp. 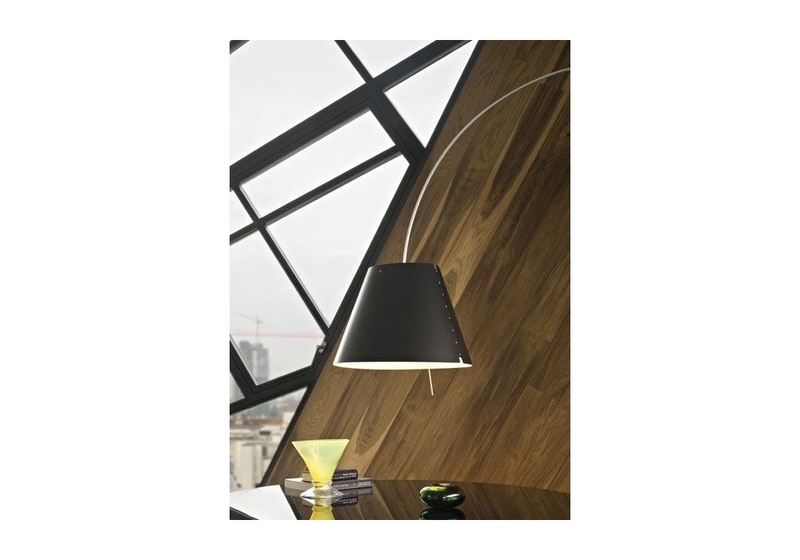 Lady Costanza, the latest evolution of a thriving project, allows the warm light of the shade to be positioned over a dining table or in the centre of a conversation area. 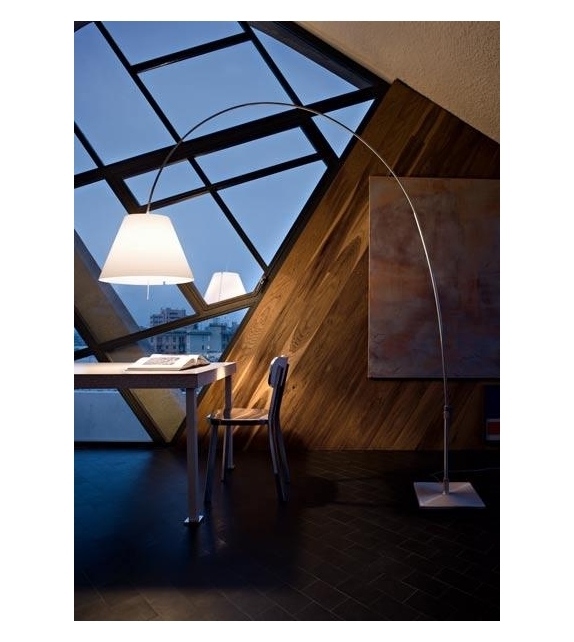 The extraordinary lightness of the structure and the handle that characterises the base make it ever so easy to move the lamp around the room freely. 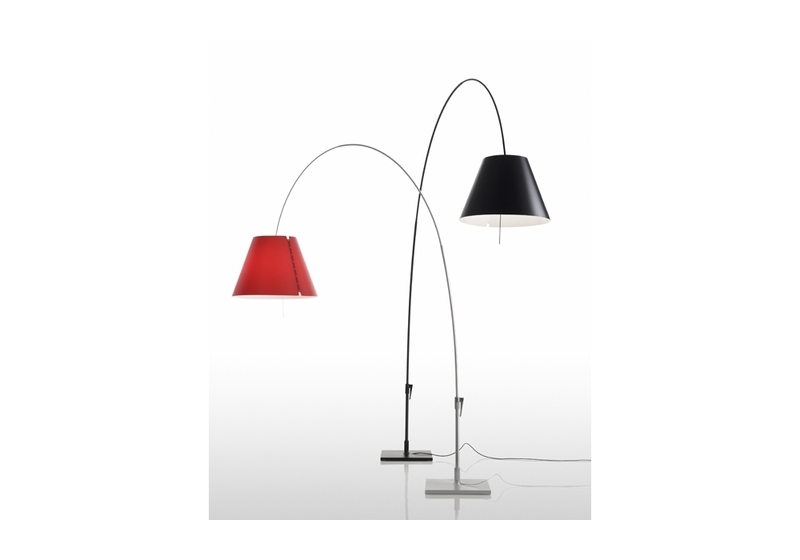 Lady Costanza designed by Paolo Rizzatto for Luceplan is a floor lamp. 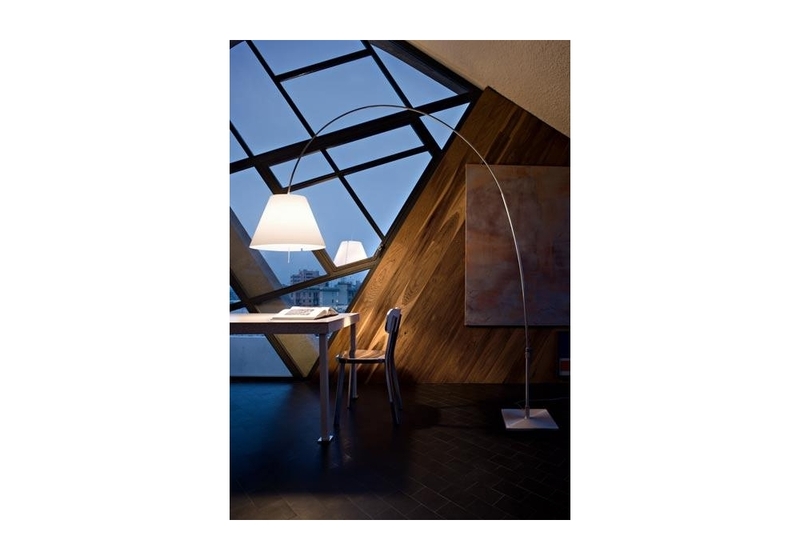 Lady Costanza, the latest evolution of a thriving project, allows the warm light of the shade to be positioned over a dining table or in the centre of a conversation area. 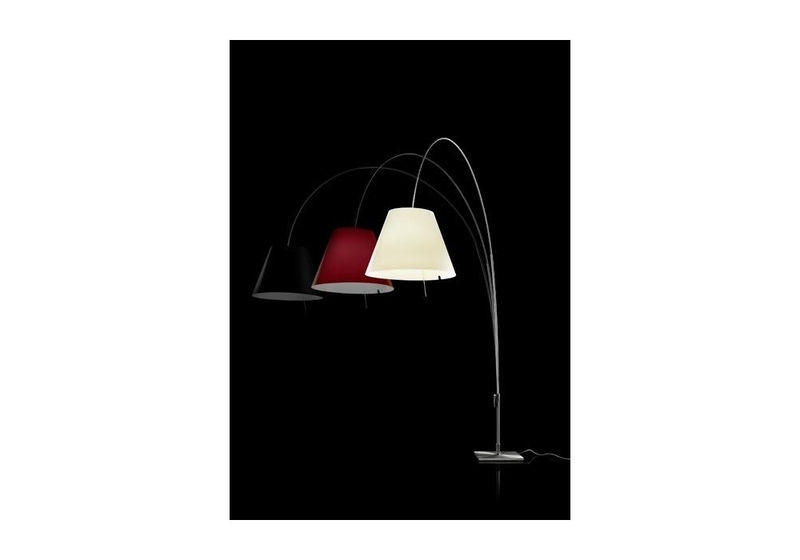 The extraordinary lightness of the structure and the handle that characterises the base make it ever so easy to move the lamp around the room freely, true to the founding concepts of this project: movement, flexibility, relations. 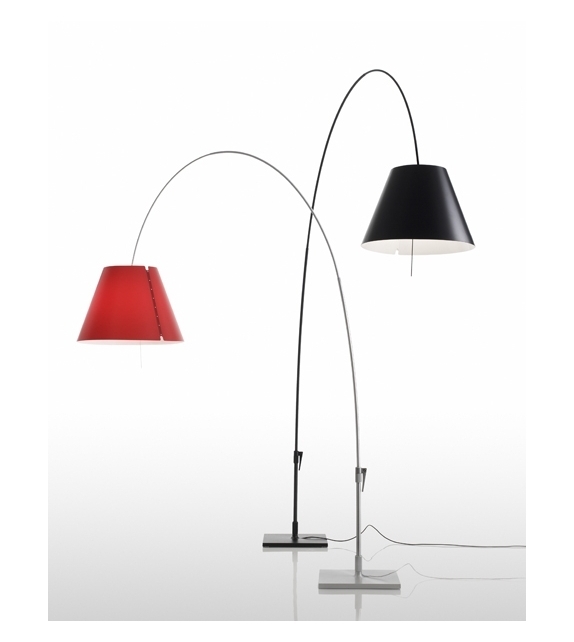 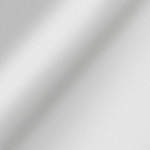 The diffuser, made of polycarbonate sheet, is available in white, red and black. 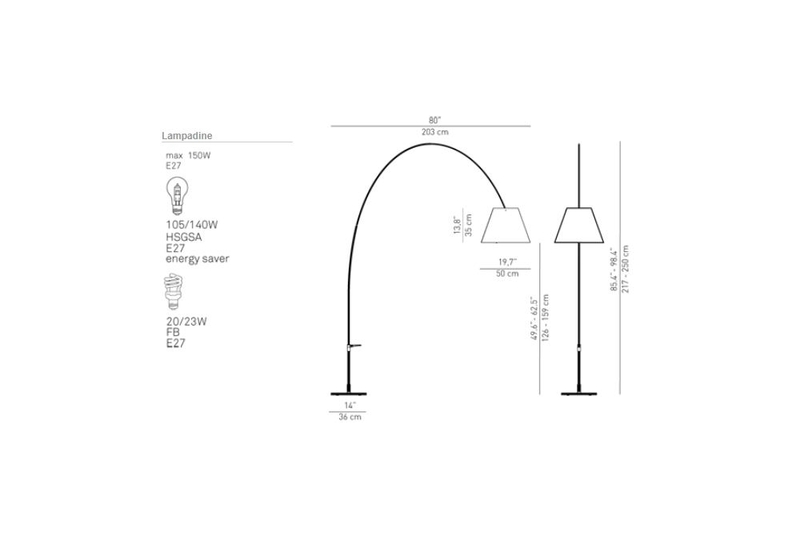 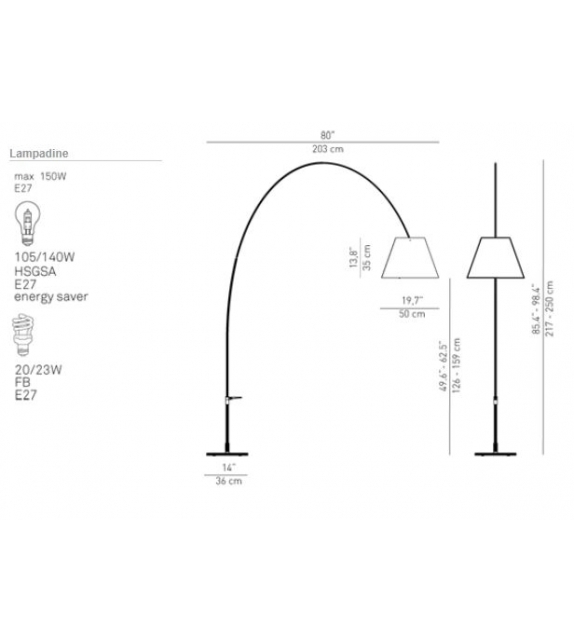 Two versions to manage luminosity: one with the regulation of the intensity on three levels by means of a touch-dimmer on the sensor rod and on-off controls with a foot switch (The touch-dimmer model is not available in US). 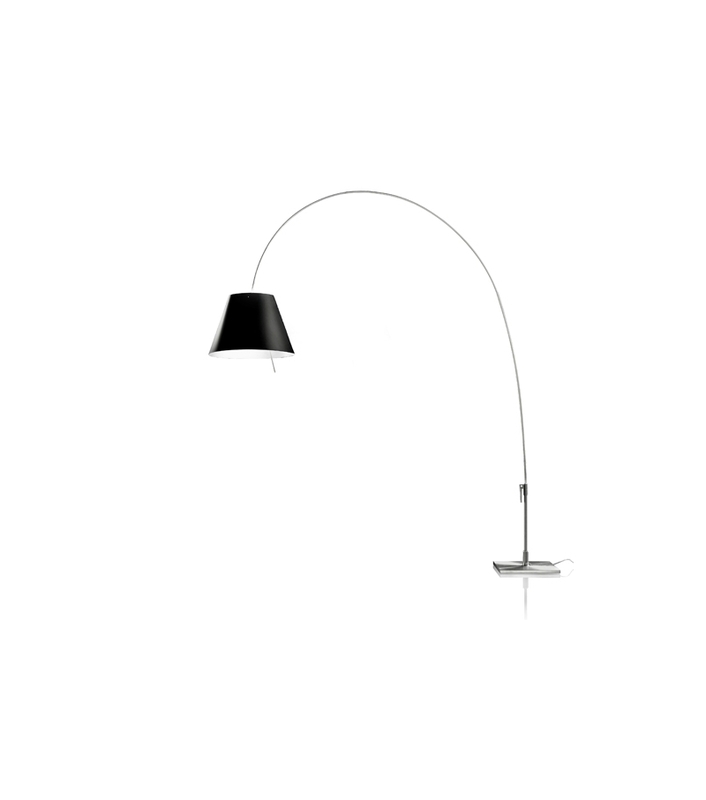 The telescopic height regulation and the possibility to rotate it 360° on its base give this source of light an elegantly functional flexibility, always perfectly suited to whatever space it occupies.